Singer, Ariana Grande will not be performing at the Grammy Awards after reportedly falling out with the show’s producers. The 25-year-old pop star, who was scheduled to perform at the February 10 show reportedly had a disagreement with Grammy producers over what songs she would perform during the show. Ariana Grande and producers at first reached a compromise, agreeing that ‘7 Rings’ would be part of a medley that Grande was to perform but the artist pulled out completely after they demanded they be allowed to choose the second song. 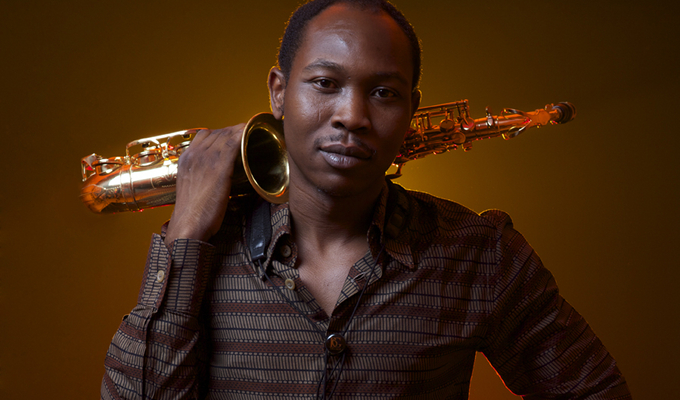 However, Nigeria’s Afrobeat singer, Seun Kuti, the youngest son of the Afrobeat pioneer, late Fela Kuti,will be performing at the ceremony. It will be the first time an African, a Nigerian specifically, will be performing at the prestigious ceremony which will take place at the Staples Centre in Los Angeles on Sunday, February 10, 2019. The 36 year-old Afrobeat singer and his band, Kuti and Egypt 80 had been nominated in the Best World Music Album category for “Black Times” released on March 2, 2018. His Grammy nomination in the Best World Music Album grouping is his first. He carries on a family trend of being nominated for an award at the Grammys. His brother, Femi Kuti was nominated four times; in 2003, 2010, 2012 and 2013 respectively. While Femi did not win after the nominations, Seun would have reason to party if he is able to break the chain of unsuccessful wins. The 61st edition of the annual ceremony will be hosted by popular American singer, Alicia Keys.